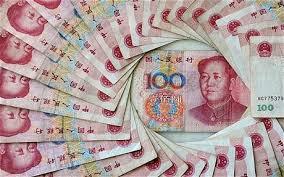 Stock markets have been roiling this week, primarily over unfounded concerns with China’s economy. There is a connection between an economy and its stock markets, but the markets are separated from the economy by the speculative elements of the markets. Speculation seeks to anticipate both the future performance of economies and that of their publicly traded companies, and also seeks to forecast investor sentiment. Investor sentiment includes attitudes toward whether stocks are under or overpriced, and many other elements. Chinese stocks were highly overpriced and deserving of a correction, which is happening. Once a segment of the market flees over unfounded sentiment, less well educated investors tend to follow the lead, assuming someone knows something I don’t. Often, that’s not the case. This time around, it is not, at least not as it relates to fears that what’s happening in China signals anything close to doom. China is on firm footing, no need to be concerned, in my opinion. I know something about China because I studied it seriously for a year in a graduate program in London recently. I have also lived there for a time and I have travelled there many times and managed a business there. I am pleased to see this morning’s NYT article by the noted China scholar Nicholas Lardy (“False Alarm on a Crisis in China”). He summarizes the real condition of China today–in good shape and prospering. No reason for pundits and market watchers to be afraid China is about to implode. Just this morning, as all the newscasters are trying to explain, one BBC commentator said, “…whenever you see that kind of growth, there has to be a crash…” This is shoddy journalism. It’s simply not true. There is another alternative to the aftermath of stellar growth. Less stellar growth. 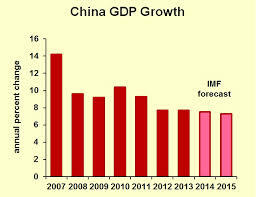 China grew at close to 10% annually for about 30 years, and is now rather steadily producing 7% growth. A slowing in economic growth is inevitable as the base gets larger. Everyone should know that. And as China continues to grow, 7% will eventually be unsustainable. 6% will be healthy, and so on. If Chinese authorities were trying to sustain 10% growth now, we should be concerned. That would be dangerous in terms of the amount of investment required to accomplish that, and might risk a future crash. But they are not. We should be delighted that they are moderating their growth targets. Such newscasting as this simply fuels fears of poorly educated investors and adds to the length of the turmoil. Chang says China has ahead two decades of recession or a crash, and he forecasts the latter. This is rubbish and Fox should be ashamed to continuously call on him–especially at a time like this when uneducated investors need solid facts, not incendiary speculation. There is a lot more which can be discussed about China–other concerns and fears which are rampant in American politics (e.g., Donald Trump), but those shall be the subject of another post. Only Kasich and Bush came across as being reasoned, thoughtful, mature, experienced, leaders who might potentially have the ability to handle politics, finance, and international relations as President of the United States. And, as to leadership qualification in overall performance as a governor, I would rank them this way: Bush and Kasich at the top, No one else close–Christie and Walker far below. No Republican in this debate was courageous enough to state support for progressive tax rates. While Kasich has done a good job with Ohio, adding 350,000 jobs, balancing the budget, I do take exception with his statement: “Economic growth is the key to everything.” Neither he nor any of the candidates explained any policies they’d use to deal with wages, inequality, the plight of our underprivileged. Economists all say that economic growth is necessary for improving the lot of the poor, but most acknowledge the growth alone is not sufficient. There must also be other actions taken by government to assure fairness. US life was far more egalitarian under Lyndon Johnson than under Ronald Reagan and successors. The more equal times in the middle of this century came about due to major legislation, government intervention, which was motivated by the macroeconomic disruptions of the Great Depression and WWII. The beginning of the loss of those better times began with Reagan and the reversal of those policies. Thus, without such a catastrophic event and government intervention in this age, it is highly unlikely any reversal in the increasing inequality will come about. If all we do is get more growth, inequality will increase. Look at China with its 35 years of 10% GDP growth. Inequality has risen to alarming levels during this time. What better proof that growth alone will not result in meaningful “trickle down.” Yes, Chinese workers are better off than 35 years ago, but so much widening distance from top to bottom is resulting in growing discontent, protests, and eventual threat of revolution. See Peter Georgescu’s opinion piece in the NYT Aug 7 edition. I will note that I am hopeful Kasich might do more for the underprivileged. At least he did accept federal Medicare aid to Ohio, raising the ire of Republicans. Maybe Bush would also. Let’s see what they have to say during the campaign. Trump behaved very badly and probably lost a lot of support. No specifics, total ego, angry, combative. He even reiterated his view that the Mexican government is “sending” its worst criminals to the US. How ludicrous! So, now, Donald, what makes you think you’re the one? But, for one, I was pleased to see that he would not be forced to pledge to support whomever the party nominates. And, I fault all the others for pledging they would support anyone the party nominates and therefore oppose anyone the Democrats nominate–names and talents unknown. For example, Jeb Bush loses a bit with me if he would support Ted Cruz as nominee–or even Donald Trump if Donald were nominated. 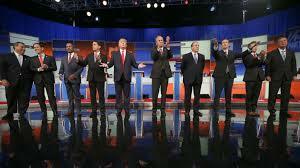 A number of the candidates came across as dangerously hawkish–notably Huckabee, Walker, Carson, Cruz, Trump and Christie. This group wants to further empower our military, e.g., spend more money on defense, quite probably would willingly engage in more foreign wars. None acknowledged that the US spends more on defense than the next 10 nations combined. Why don’t any Republicans focus on how we are spending the massive amount of defense money, and how much of that is wasted on bad decisions, faulty or obsolete equipment, etc? I expect Republicans to be the folks who would address the management challenges of the Pentagon. With those savings, our enormous military could be improved and more effective. More money is not the answer. Most of the candidates oppose the nuclear treaty with Iran, but none of them had a solution other than reimposing the sanctions and trying to negotiate a tougher deal. No explanation of the challenge of getting allies to go at this again. No thought of playing into the hands of hard liners in Iran who would love to see the deal fail, escalating the risk of war. Maybe some of these candidates would like to see that happen…? Marco Rubio may become a promising leader in the future. He has little experience and comes across as somewhat immature in the debate, but he is not extremist, and that appeals to me–for a future decade. He wants to repeal Dodd-Frank, and depending on what he would replace it with, I could go for that! I like the immigration stance of Bush and Rubio–some form of earned citizenship. This is not as far as I would go, but it’s in the right direction. We need our immigrants and most of the illegal are law abiding and are happy to work and pay taxes. Ted Cruz refuses to acknowledge that poverty, inequality, and US intervention in foreign countries may be fundamental to the disenchantment fueling terrorists like ISIS. His solution is to “hunt down and kill them.” So very overly simplistic and hawkish. Rand Paul was challenged about ISIS and he made his primary point that we should stop selling arms to the our allies to fight ISIS–so that those arms won’t fall into ISIS’ control.That’s not a strategy to comprehensively deal with ISIS. Most candidates say education is a state issue–get rid of federal involvement in education. There is something intrinsically questionable about the notion that the way we best teach children in Wisconsin is different from how we best teach children in Florida. This is just another reflection that our country is fed up with big government, and none of our politicians (on either side) are offering an approach to re-engineering our government. Most want to “take a sledge hammer to our government.” And, nothing is more important to equal opportunity than equal education. Who’s going to assure that 50 states all offer equal education–equal for children in Missouri and children in Noth Dakota? The states? Entitlements: Christie’s plan for social security–phase in extension of benefits and means test wealthier retirees. Yes–and isn’t this what the Obama budget proposed? I’m in favor of giving up some of my benefits, because in addition to my hard work, I have had benefits and help that many people have not. We’re all in this together. Go for that, Republicans, and Democrats, you need to accept that. But, let’s talk about how we spend the money we save there–and it’s not on more military. How about infrastructure and education? All in all, it was just a debate. Time was limited. It’s not possible for any one to lay out comprehensive proposals, so we’ll wait for that or search their websites. Let’s hope for more specifics that make sense. And, I imagine the Democratic debates will result in similar frustrations. I’m a liberal, but I’m not pledging to support any candidate Democrats nominate. I’m waiting with open mind to see who shows the greatest potential to lead this vast and complex country! I will vote Republican if one of the candidates distinguishes herself or himself above all others. But I hold out for sensible plans that begin to reverse inequality, our greatest challenge. As to Trump, I only looked to him for entertainment, not substance, but unfortunately, he’s not that funny either!